Johnny’s Breakfast and Lunch is a family owned and operated restaurant that has been serving the greater Waterbury area since 2011. With recent renovations to the inside of the restaurant, Johnny’s is once again ready to serve the locals the great food they have come to expect from the establishment. Open most days of the week for breakfast and lunch Johnny’s has something to make anyone happy. Some of their popular lunch items include various wraps like the buffalo chicken, roast beef and cheddar, as well as a cranberry walnut chicken salad. Some of their panini options include roast beef and cheddar, the italian melt, and a pastrami melt. Looking for a healthier option? They offer multiple salad options such as the greek salad as well as the classic chef and caesar salads. Breakfast more of your thing? 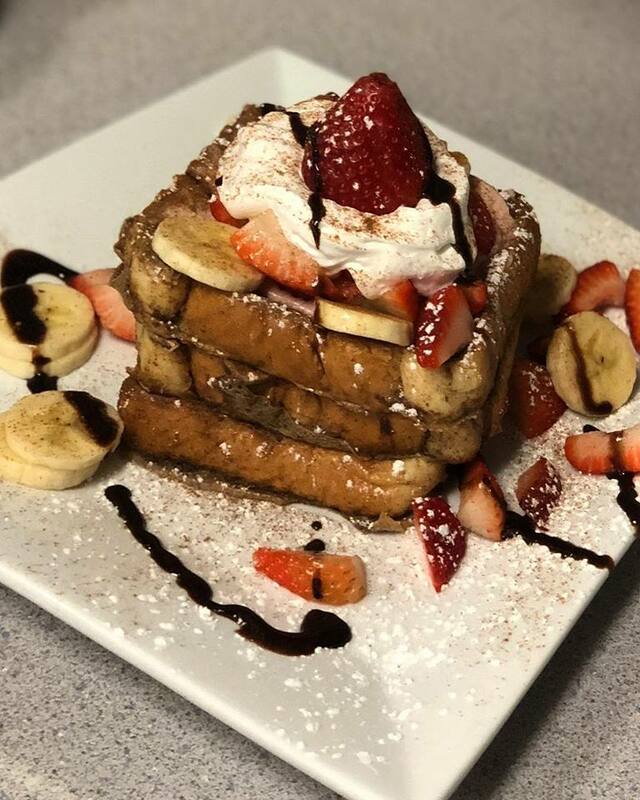 Menu items include ten plus omelette options, breakfast sandwiches and wraps, as well as pancakes and french toast that will leave anyone drooling. Don’t believe us? The picture above says it all. For more information about Johnny’s Breakfast & Lunch give them a call (203)755-5301 or visit their social media accounts listed below!